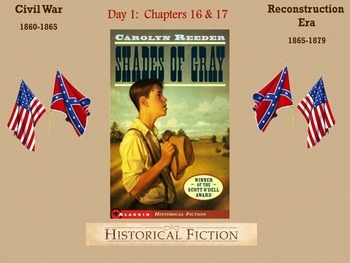 This SMART file lesson includes everything you'll need to teach Chapters 16 & 17 of Carolyn Reeder's Shades of Gray historical novel of the Civil War/Reconstruction Era. 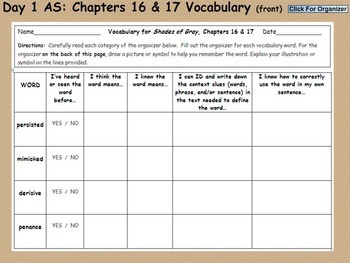 You will find daily activating and summarizing strategies, vocabulary activities, reading strategies, discussion topics, higher order thinking activities, writing activities, and assessments with answer keys. 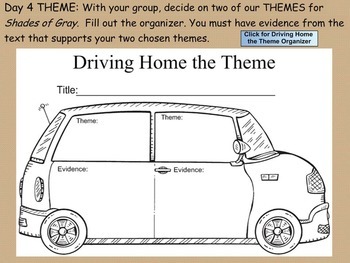 Please check out my TPT store, Arrrsome in Fifth, for more Shades of Gray chapter lessons and activities. Thank you!